We are pleased to announce the EuroVR 2014 conference that follows up on the previous issues of the Joint Virtual Reality Conferences (JVRC) 2009 through 2013. EuroVR will be co-located with ICAT-EGVE, a merger of the 24th International Conference on Artificial Reality and Telexistence (ICAT) and the 20th Eurographics Symposium on Virtual Environments (EGVE). Attendees can register for EuroVR only, or for all three conferences at a substantial discount. The focus of EuroVR will be on novel VR and AR technologies, including software systems, display technology, interaction devices, and applications. EuroVR is not only a conference for presenting and publishing applied research, but also a platform for exchange between researchers, technology providers, and end users around commercial or research applications. Besides papers on novel results, industry-oriented presentations (automotive, medical, etc.) create a unique opportunity to see, discuss, and share the latest innovations and developments. EuroVR gives also a unique opportunity for vendors and laboratories to exhibit their latest innovations and demos in the exhibition area. We welcome industrial and academic exhibitors, as well as sponsors. Sponsoring and exhibition can be combined. The venue will take place on the campus of the University of Bremen. 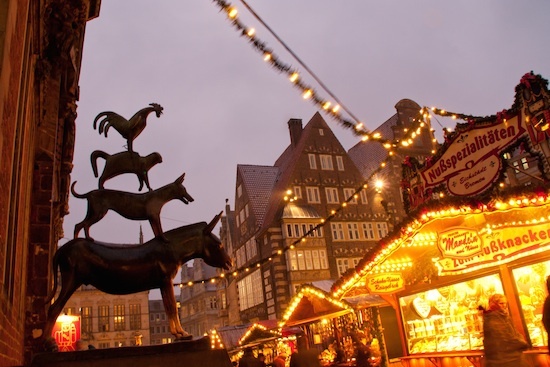 It is conveniently accessible from Bremen downtown, the Bremen airport, by train, and by car. Around the campus, there are numerous high-tech companies (e.g., aerospace) and research institutions (e.g., the Fraunhofer Institute for Medical Image Computing and the German aeronautics and space research centre). EuroVR is the European Association for Virtual Reality and Augmented Reality, an international non-profit association designed to bring together all those interested in VR/AR technologies and to pursue the development and further deployment of such technologies. Membership is open to companies, organization, and individuals, and is not restricted to European countries. A membership application form can be found on the web site of the association, www.eurovr-association.org. Membership is not required for the participation in the conference. This year’s event is the 11th edition of a series started with the INTUITION conferences (Athens 2004, Paris 2005, Stuttgart 2006, Athens 2007, Torino 2008) and followed by the Joint Virtual Reality Conference (Lyon 2009, Stuttgart 2010, Nottingham 2011, Madrid 2012, Paris 2013). Compared to JVRC, the new format is expected to clarify the role of the three organizing parties (EuroVR, EGVE and ICAT) and to increase the impact of the event in the AR/VR community.